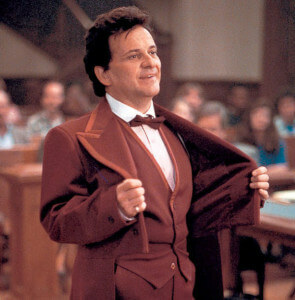 When I think of someone impersonating an attorney, my mind goes to Joe Pesci and My Cousin Vinny. In the movie Vincent Gambino only impersonated a criminal defense lawyer (not a public servant) so nobody seemed to care (except the judge), but in Texas, Impersonating Public Servant (including a district attorney) is a serious matter. Robert Cornwell found this out after he pretended to be a Dallas County Assistant District Attorney in hopes of helping his friend with a DWI case. In May of 2012, Robert Cornwell called Montgomery County Assistant District Attorney Kourtney Teaff, identifying himself as an assistant district attorney from Dallas County, attempting to “resolve [his friend’s] [DWI] case.” Cornwell claimed access to criminal histories, case files, and fingerprint cards. He mentioned speaking with governmental offices, and prosecuting his nephew for drug possession. Cornwell insisted on using his personal cell phone number because he and Teaff “were on the same team.” Becoming suspicious of the “highly unusual” requests coming from another district attorney, Teaff recorded the conversations. According to the trial court, Cornwell always used his real name, he had never been an attorney in Texas, he never attempted to claim official authority over Teaff, and he intended that “Teaff should consider the requests a personal favor.” Cornwell was sentenced to two years imprisonment for impersonating a public servant. What does “Impersonating a Public Servant” mean in Texas? Impersonating a Public Servant is a Third Degree Felony with a punishment range of 2-10 years in prison and up to a $10,000 fine. A person violates Section 37.11(a)(1) of the Texas Penal Code when the person impersonates a public servant in combination with the requisite intent…[which] can be satisfied with either the submission theory (“with intent to induce another to submit to his pretended official authority”) or the reliance theory (“with the intent to induce another…to rely on his pretended official acts.”). Cornwell appealed to the Court of Appeals, arguing that the evidence was insufficient to show either theory of intent—submission or reliance—because he did not persuade Teaff to submit to any asserted authority he might have over her. The Court of Appeals rejected Cornwell’s argument, “concluding that the evidence was…sufficient to support a jury finding that he had impersonated a public official with intent to induce another to rely on his pretended official acts—the reliance theory.” Cornwell then petitioned the Court of Criminal Appeals (“CCA”) for discretionary review. Here, the CCA determines whether the Court of Appeals was incorrect in misconstruing the meaning of the Section 37.11(a)(1) of the Texas Penal Code, as only “a few Texas appellate courts have directly addressed the reliance theory of intent, and specifically, the meaning of pretended official acts.” See Ex Parte Niswanger, 335 S.W.3d at 617 & n.11; Tiller v. State, 362 S.W.3d 125, 128 (Tex. App.—San Antonio 2011, pet. ref’d. ); Tovar v. State, 777 S.W.2d 481,489 (Tex. App.—Corpus Christi 1989, pet. ref’d.). The CCA Clarifies what “Impersonating” means (and doesn’t mean). that the impersonator had the specific intent to induce another to submit or to rely upon. Because it was undisputed that Cornwell did impersonate a public servant—an assistant district attorney from Dallas County—satisfying the first part of the statute, the CCA focused on Cornwell’s mental state, specifically the reliance theory—the evidence that shows Cornwell’s intent to induce another to rely upon his pretended official acts. The CCA explained that Cornwell attempted to persuade Teaff he was “an experienced assistant district attorney by relating various claims of conduct he had undertaken as an assistant district attorney” namely, “putting his nephew in jail, reviewing case files, and investigating matters in the capacity of assistant district attorney.” The CCA is adamant that, “the only reason [Cornwell] could have had for relaying these pretended official acts to Teaff was to enhance the credibility of his claim to be an assistant district attorney.” “By calling and speaking to an assistant district attorney as a member of the same team, [Cornwell]…hoped to gain [Teaff’s] trust and goodwill.” Further, Cornwell did not ask for favor[s] in his capacity as a private citizen or concerned friend, rather, he asked under the guise of being an assistant district attorney. The CCA states, such “purported actions exceed mere false identification as a public servant.” The CCA agreed with the Court of Appeals, affirming Cornwell’s conviction and sentence. There are no shortcuts to due process. The Texas Penal Code prescribes strict punishment for those impersonating officers of the court. There is no doubt that criminal charges and allegations can make the accused feel panicked and overwhelmed, however, the old adage “desperate times call for desperate measures,” will not hold water in court where impersonation is concerned. If you or a loved one are facing criminal charges, contact an actual Texas attorney who will explain the proper steps in dealing with the legal system. Contact our office today for a free consultation at (817) 993-9249.